Featured amenities include a business center, multilingual staff, and luggage storage. 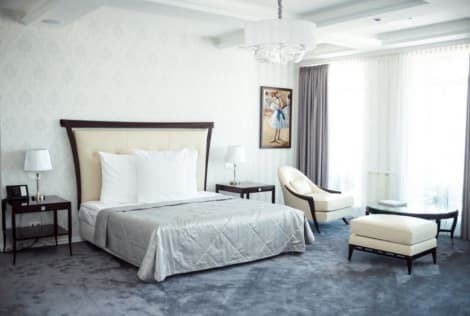 A stay at Volna Hotel places you in the heart of Samara, within a 15-minute walk of Samara History Museum and M. Gorky Literature and Memorial Museum. 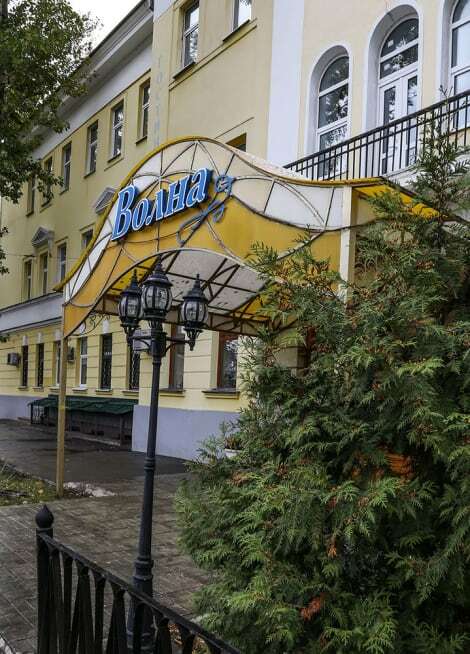 This hotel is 0.7 mi (1.2 km) from Samara Regional Art Museum and 0.9 mi (1.4 km) from Chamber Stage Drama Theater. 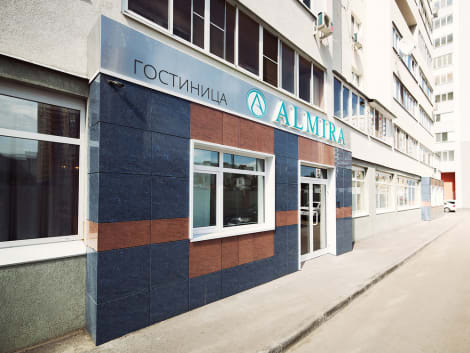 The hotel is set amidst a beautiful pine forest just 20 minutes by car from the centre of Samara. Kurumoch International Airport is 22 km away. At guests' request the hotel can provide transfers to any departure point in the city. The establishment has an interesting design which emphasizes its mountain-resort atmosphere. All 44 guestrooms are furnished in a contemporary style with parquetted floors, TVs, work desks and electric kettles for making hot drinks. All rooms are en-suite with tiled bathrooms. Hairdryers and wireless Internet are available in each unit. In their leisure time guests can enjoy a session in the sauna. Kids are welcome to let off some steam at the outdoor play area which is to be found in the hotel grounds. The grounds also feature a large garden with barbeque facilities and a seating area. Make use of convenient amenities such as complimentary wireless Internet access, gift shops/newsstands, and a hair salon. Additional amenities at this hotel include a television in a common area and tour/ticket assistance. Getting to nearby attractions is a breeze with the area shuttle (surcharge). The Matreshka Plaza is located in the centre of Kirovskiy District. Samara city centre is only a 10-minute drive away. Kurumoch International Airport is under a 40-minute drive from the Matreshka Plaza. The hotel provides 165 comfortable rooms of different categories. Also, the hotel offers a wonderful restaurant complex consisting of several restaurants, serving European cuisine. 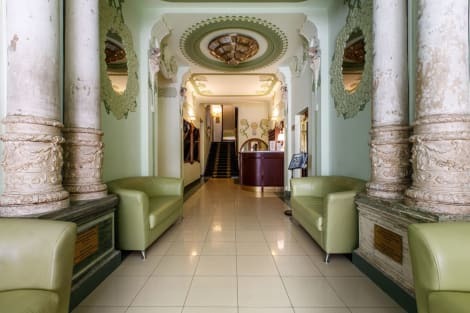 The comfortable and cosy atmosphere of the Matreshka Hotel is combined with the caring and helpful attitude of the staff. For lunch or dinner, stop by Red Room, a restaurant that specializes in international cuisine. Dining is also available at the coffee shop/café, and 24-hour room service is provided. Wrap up your day with a drink at the bar/lounge. Buffet breakfasts are available daily from 6:30 AM to 10:30 AM for a fee. Take advantage of the hotel's room service (during limited hours). Quench your thirst with your favorite drink at the bar/lounge. A complimentary continental breakfast is served daily from 7:30 AM to 10:30 AM. Make yourself at home in one of the 126 air-conditioned rooms featuring LCD televisions. Complimentary wired and wireless Internet access is available. Private bathrooms with showers feature complimentary toiletries and hair dryers. Conveniences include phones, as well as laptop-compatible safes and desks. Make use of convenient amenities such as complimentary wireless Internet access, gift shops/newsstands, and wedding services. Additional features at this Baroque hotel include a television in a common area, tour/ticket assistance, and a banquet hall. Enjoy a satisfying meal at Francesco serving guests of Ost West Club. A complimentary hot/cold buffet breakfast is served daily from 7 AM to 10 AM. lastminute.com has a fantastic range of hotels in Samara, with everything from cheap hotels to luxurious five star accommodation available. We like to live up to our last minute name so remember you can book any one of our excellent Samara hotels up until midnight and stay the same night.